One of my friends from work writes a fantastic and uplifting blog and she manages it every day, she is inspirational so you should go and read it! But…reading hers does make me feel pretty damn lazy and ashamed that it’s now been two weeks with no new posts. I’m kind of hope that you all have busy lives as well and understand when I go quiet for a few days! I have started a few posts over the past week or so but I really wonder who wants to read about the weather (other than me telling you that my recent post must have worked because the sun’s come out! ), or my new carpets (which look awesome) or the fact that there is no news on my new house and that work is busy, but I guess this is life. 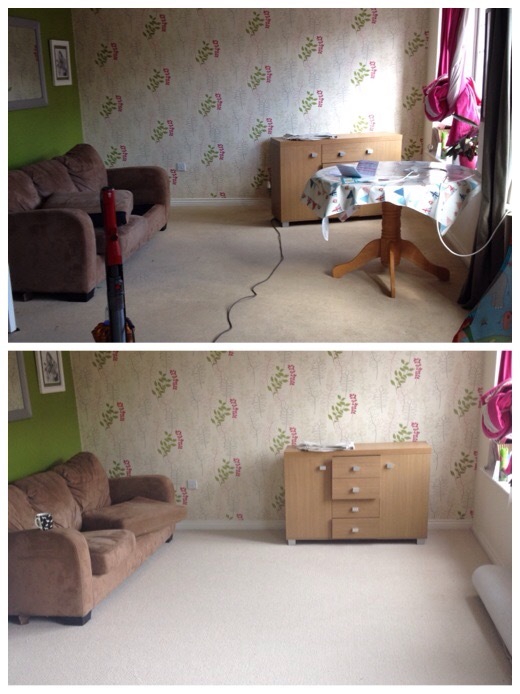 old carpet, new carpet – the exciting life i lead! Sometimes it’s just all pretty normal and mundane but, sometimes, that is quite nice. No craziness, no dramas (well not many anyway), no major worries around which gives me the ability to appreciate the quiet times and my time with Charlotte. I like my job, I’m moving house at some point and I’m generally happy so can’t complain really!